The Syncro range of transparent drawers has proved one of the most successful Syncro products ever. The range began with 11 and 16 cm long, tilting containers, then expanded to include pull-out drawers, first of 21 and later of 26 cm in length. The range has now grown again with the addition of a drawer 24 cm wide by 26 cm long. 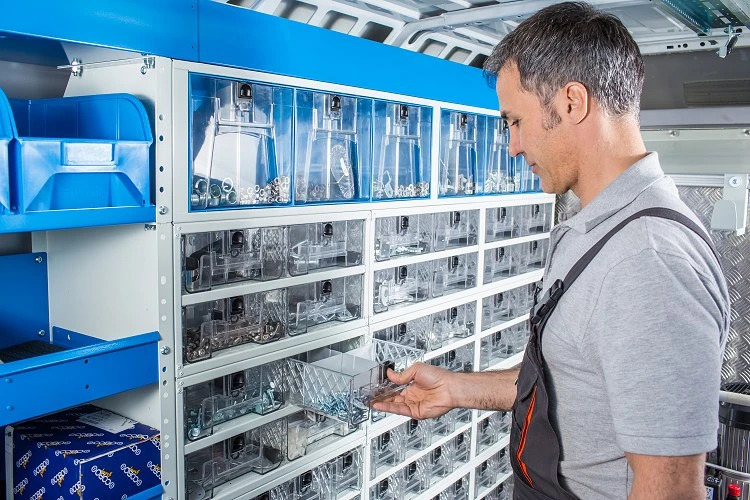 Syncro transparent drawers are made from polymethylmethacrylate, a plastic material with truly phenomenal mechanical and chemical characteristics: it does not turn yellow over time, it is resistant to most common chemical products, it is unaffected by UVA light and it is strong enough to be used in aircraft and submarine windows. Equally important features of the new drawer are Syncro's exclusive, patented automatic locking system, drawer runners and ergonomic design. The new 24 x 26 cm drawer can be used to carry larger items or many different types of smaller item, exactly as you need. The new drawer is already available at all Syncro System points of sale. 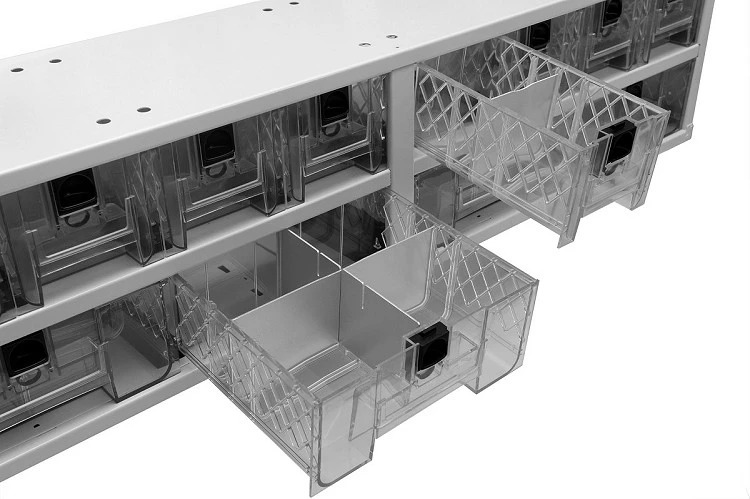 For further details, see our Multibox plastic drawers page. 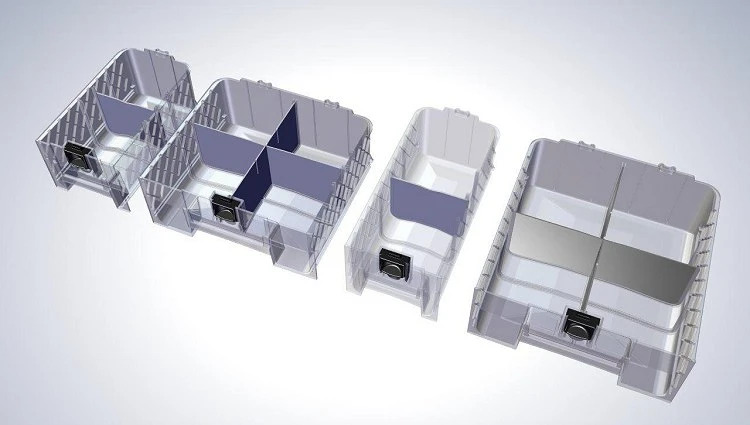 Syncro’s large, pull-out transparent drawer for van storage is here at last!